When it comes to mouthguards, you probably hear the terms personalization and customization thrown around a lot. Oftentimes, the two words are used interchangeably. Except, here’s the thing: personalization and customization have two totally different meanings when it comes to the things that really matter about a mouthguard — comfort and protection. It all really depends on what you want to get out of your mouthguard. Are you looking for the coolest looking mouthguard possible? Is your team logo or a fun design the most important thing to you? If so, personalization is what you are looking for. Is the fit of your mouthguard important? How about keeping your mouthguard in without clenching or biting down? Do you need to breathe or speak clearly while wearing it? You’re looking for a custom mouthguard. Any mouthguard style, from custom-made to stock to boil-and-bite mouthguards, can be personalized. 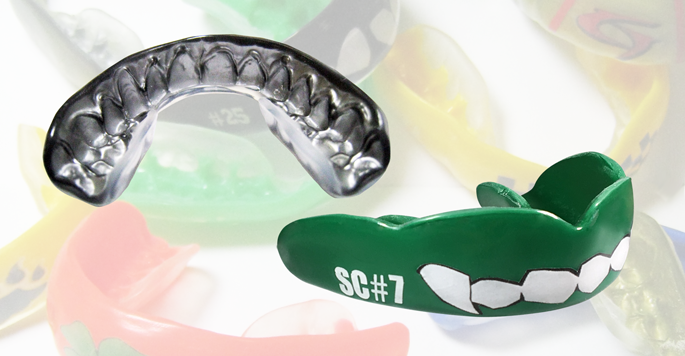 Personalization includes colors, logo, name, number or other types of designs on the mouthguard. It is purely an aesthetic feature, and something that makes an ordinary piece of equipment more fun. Yet, while most custom mouthguards can be personalized, not all personalized mouthguards are custom-made. Where personalization refers to the actual color and designs on the mouthguard, a custom mouthguard refers to the fit and the engineering of the mouthguard. 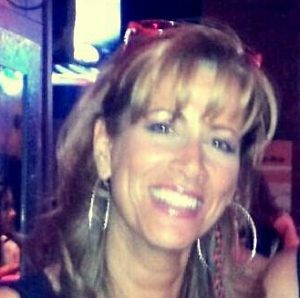 That’s because a custom fit is only obtained with an exact impression or scan of an athlete’s unique mouth structure. That impression is used to create a model of the individual’s mouth and, using heat and pressure, form the mouthguard over the teeth. Custom mouthguards are not fit by boiling and biting into the guard, as the mouth is unable to create enough pressure to form the exact tight fit needed for the best protection. Custom mouthguards are made to fit you and only you. Personalized mouthguards make the mouthguard fit your personality. The great news is Gladiator custom mouthguards are both customized and personalized! Each of our custom styles allow you to pick color, logo and a side ID (name and/or number) while also obtaining the best fit possible with our Gladiator Self Impression Kit. Now that you know that difference between customized and personalized mouthguards — fit and function vs. looks and aesthetics — it’s time to get the best of both worlds! But which Gladiator is right for you? Find out at the link below.